Day trip to Rila monastery & Boyana Church. Our guide Niki was very informative and kind. The tour was well organised and interesting. We booked directly online and had to pay credit card fee in extra about 2.5%. I didn't know about this fee until I proceeded to the payment page. It is better to book the tour via Viator or pay in cash in which no credit card fee is required. The car was comfortable. There were about 12 people in the group. 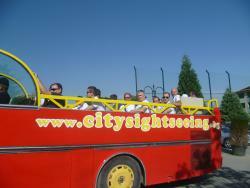 They offer a variety of tours, and easily booked on their website. They were recommended by my hotel and others on tripadvisor so I felt this was a good decision. For sure, it was! I went on the Seven Lakes hike, with Martin, and it was spectacular. Well worth the time and a great way to escape the summer heat of the city. Martin was knowledgeable and really very friendly. He was also very patient with my slow hiking. During the hike he proposed a stop on the return to Sofia, which saved me a lot of time during my busy and short trip. 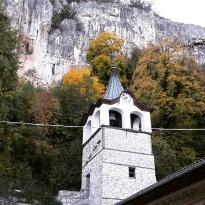 I also went on the tour to Veliko Tarnovo/Arbanassi, with George, and this was also really nice. Both my tours were booked last minute and everything was perfect. I highly recommend. Firstly I didn't realise that this tour would have a guide. It may be because I didn't actually book it but our guide Karina was excellent. 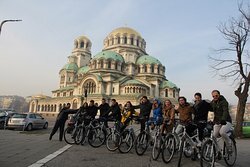 She not only gave us information about the Boyan church or Rila Monastery but also nearly everything we passed by through the city Sofia and communities along the trek. On our was there she didn't stop! A great advocate for the tour and the country. The tour is a long one and yes you spend a long time in the car but it's worth the effort. The sites we visited are spectacular. 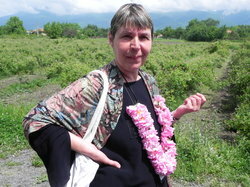 We were picked up from the meeting point on time and the vehicle fitted us 7 and Karina. 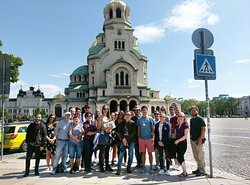 Along the way we learnt about parts of Bulgarian history, agriculture industries and were also given an insight into other areas we should explore. The Monastery is beautiful but without a guide you can not appreciate how special it truley is. Karina was amazing in the way she shares this information. Feels like one large story rather than shot fired facts. Along the way home we stopped for lunch where we were recommended some great food. Karina prepares us all before arriving in order to streamline (and speed up) the process. Our driver was pleasant and willing to share some information if asked but driving in Bulgaria takes a lot of concentration do we didn't disturb him too much. Overall a great tour. Karina goes above and beyond to help out the guests. She also too some interested people to a recommended place to buy some products after they asked for help. The company was very flexible to cater for our needs. Our train was delayed going to Sofia from Istanbul and our means for contacting them of our late arrival was limited, we could only leave a message for them and hope for the best. After a long and tiring journey on the train we found our friendly guide Niki waiting for us at the station. He was very knowledgeable interesting to talk to. Niki made sure he showed us the best part of Sofia and didn't mind finishing late due to our late arrivals. If it wasn't for him, we would've had a lot less positive experience of Sofia! He honestly made our trip that day! We had a great time with our family and with Martin our gide. I suggest you the Rila Monastery it is very beautiful and Marrin will give you a good and interesting information! Rila Seven Lakes is stunning - a beautiful hiking experience which we were lucky was on a glorious sunny day. Our guide was Martin, who is young and enthusiastic and a keen hiker himself so he knows all about the mountains. He got us to the mountain very fast in a comfy car (not a nasty bus) which even had wifi! - we were lucky, just 2 groups of 2 that day. The chairlift was not open until 12 noon due to maintenance so Martin sorted out a 4-wheel drive car to take us for a very bumpy ride up the mountain.... at the top we took our map and guide and started the hike. My husband and I are very keen and regular hikers, so we rather ignored the guide and headed straight for the top of the mountain - from which we had a superb view of the lakes. We ate our lunch and headed back down and then enjoyed the lower lakes on the way back. Traventuria organised it well, the booking was smooth with fast email confirmation and everything went like clockwork. No problem recommending them at all. 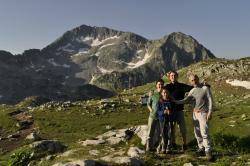 And certainly recommend the Rila Seven lakes if you like nature.